Firefighters and paramedics in Broward County are accustomed to donning protective clothing when fighting blazes. Today, they’ll be getting even more protection which includes helmets and ballistic vests. They will be useful when helping victims of gun or other incidents involving dangerous weapons. Officials say that this is the new reality with the increase in active shooter and mass casualty incidents nationwide. There have been such deadly incidents in Fort Lauderdale in January at the Hollywood International Airport as well as in Orlando at the Pulse nightclub last year. Gregory Holness, Broward Sheriff Fire Rescue Assistant Chief, noted in a memo, where he was asking for new equipment, that fire and rescue responders needed more than adequate training, they also needed the required safety equipment to respond effectively to injuries that might be life-threatening while working next to law enforcement who are dealing with the imminent threat. 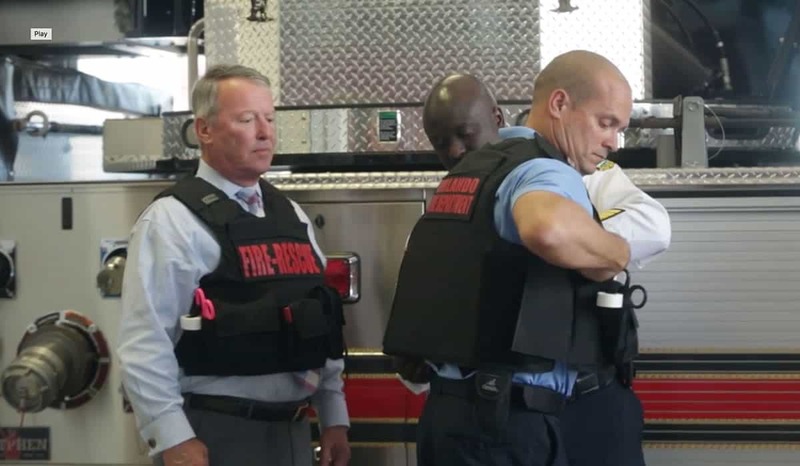 Last week, a budget of $177,000 was approved by the Broward commissioners and will go to buying 176 body armor packages for every front-line fire-rescue vehicle that will include vests with steel inserts at the front and rear along with helmets for all responding crew members. Following the Pulse shootings, the fire-rescue departments in Orlando and Orange County bought similar equipment. In June 2016, shooter Omar Mateen killed 49 patrons at Pulse nightclub. A five-year supply of helmets and bulletproof vests has been provided to the crews of the fire-rescue department in Fort Lauderdale according to Capt. Greg May. 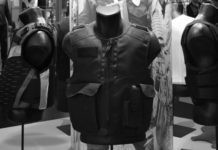 It is mandatory for paramedics and firefighters to wear body armor if responding to gunshots, stabbing or incidents involving domestic violence. When there is active gunfire or an active shooter, helmets are mandatory. Each shift shares the helmets and navy blue vests with the “fire rescue” markings, which cost the city around $100,000. Although other departments have helmets and ballistic vests for limited use in emergencies, Fort Lauderdale in Broward County was the first to use them system-wide according to May. Most of the crews responding to the airport shooting where 6 people died, were wearing the protective gear as they went through the terminals. 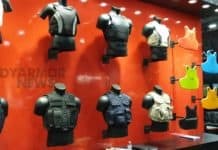 In 2013, The Federal Emergency Management Agency recommended that firefighters, medical and emergency techs wear body armor. The law enforcement trust fund will pay for Broward’s equipment. The money for the fund comes from property seized from felony offenses. As per protocols, EMS are not allowed to intervened before SWAT and police have cleared and swept the area for killers or threats. This seems to be overkill and clever business moves by the security industry. FYI, EMS did not intervene at the Hollywood International Airport or the Pulse night club directly or before the killer was neutralized. This is part of a worrisome militarization of police and EMS.